When you think of a typical salesperson, you probably imagine a smooth-talking, outgoing and rapport-building conversationalist, someone totally at ease with cold calling or pitching to executives — someone with the so-called “gift of gab.” And while these natural salespeople certainly exist, it’s a huge misconception to believe you must share this extroverted personality to be successful at sales. 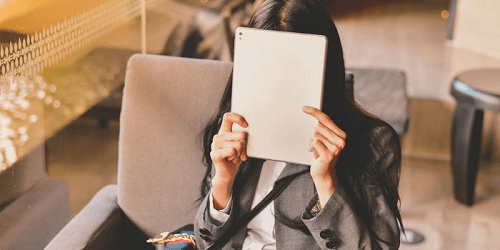 The truth is, introverts innately have everything it takes to not only be effective salespeople, but to achieve results that put them at the top of the pack. Whether you’re an introvert interested in a sales career, if you own a business and don’t necessarily want to sell but need to, or if you just want to be able to properly “sell” your ideas at work, discovering how to harness your natural sales strengths will pay off for the rest of your professional life. Busting the myths about introversion and sales. Showy, bravado-type salespeople are more likely to alienate prospects than close them. Salespeople in the top 90 percent demonstrate traits of modesty and humility. Salespeople with high levels of gregariousness (friendliness and preference for being with people) ranked in the bottom third of overall sales performance. So much for the gift of gab! But if the stereotypical, extroverted salesperson isn’t actually effective, then who is? Leveraging your introverted strengths for skyrocketing sales. Author and professional speaker Geoffrey James says the most important qualities required for sales success are research and listening skills, both of which allow you to understand your prospects and adapt to their needs — and both of which are natural strengths of introverts. Based on my own sales experience as an introvert and my decade of coaching introverted clients, I’d also add empathy, authenticity, preparation, creativity and analytical thinking skills. These are all innately introverted qualities that can be leveraged for a dramatic improvement in your sales results. Today is the day to stop thinking that your introversion holds you back from sales success. Break through the limiting belief that you can’t “do” sales, and instead embrace the truth that, with the right system, you’re actually perfect for it. Learning the seven steps to a sale. We introverts cringe at the thought of using bulldog techniques or hard closing tactics — it’s just not who we are. The good news is, you can say good-bye to those old-school practices and instead adopt an authentic, reliable system that naturally leads to a sale. This is the exact sales process I’ve used myself for more than 15 years, and I have taught to thousands of others. You’ll see that I haven’t completely reinvented the wheel here; some of these steps will probably look familiar. What’s different is that the core elements rely not on personality, but on authenticity, empathy and story, allowing you to remain true to yourself. I’ve outlined each step briefly below. Create trust and set the course. Because you’ll have leveraged your preparation skills in advance of the meeting, you’ll have a few openers ready that immediately show the prospect they’re not just a faceless number on your list. Find a point of connection. Maybe you recently visited the same city as their company’s HQ, or maybe you just tried the new restaurant down the street from their office. Then, briefly lay out the agenda, so they know where the conversation is going — instead of wondering when it’s ever going to end, as they likely do with most sales calls. Ask the right questions. The right questions are the ones that lead the prospect to articulate and realize the true extent of their problem, and thus reinforce their desire to solve it. Tell stories. I can’t stress this enough: Stories are the heart of the sale. They short-circuit the logical mind, immediately engage the emotional mind, and create instant rapport through what Princeton researchers call “neural coupling.” What’s more, people are up to 22x more likely to remember information shared in a story rather than a list of facts, according to Jennifer Aaker of Stanford. So instead of selling a solution or reciting features, tell a story of a customer exactly like them, and the amazing result you provided. Use stories to overcome objections. Prospects don’t want to be argued with, and there’s no need for you to be in the uncomfortable position of explaining why they’re wrong. Simply tell another story, of a past customer who had the same objection or concern, and the outcome you ended up getting for them. Put your toe in the water. No one likes to be put on the spot with a direct “ask,” and introverts hate the feeling that comes with it. Instead, offer an option: “Would package 1 or package 2 work best?” If they choose an option, it’s a great sign that they’re ready to move forward. If they don’t, go back to asking questions and sharing stories. Finally, and most crucially, practice, practice, practice. You want this to roll off your tongue. You want each section memorized so it’s easy to get right back to it if the prospect interrupts with a question. If you’re concerned that you’ll sound scripted and robotic, the opposite is actually true — for introverts in particular, knowing exactly what you’re going to say helps you be more natural and genuine because you’re not constantly in your head, worrying what to say next. Using these steps, think of sales as a factory production line. The first few widgets might not be ideal. But as you tweak the process, the widgets get better and better, until finally you’re running at maximum quality and efficiency. Sure, you won’t get every sale, just as every factory line is going to have some imperfect widgets. The goal is to continually improve the factory — the sales system — and the results will take care of themselves. For a more detailed explanation of each step, you can download the first chapter of my book, The Introvert’s Edge.